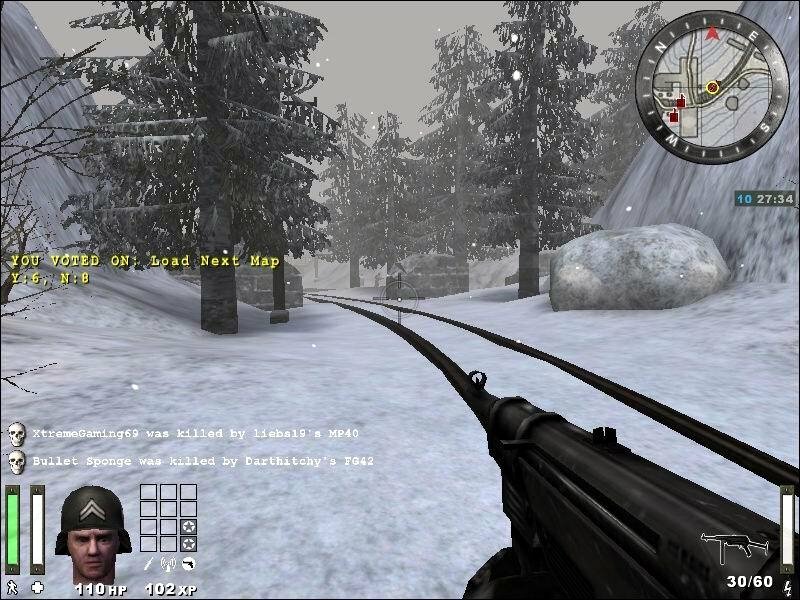 There are many scenarios you can face in Return to Castel Wolfenstein Enemy Territory. There are so many things to discover and so many possibilities to get your opponent down. This World War two shooter is one of the best games I have ever seen. If you look at the surrounding conditions they have made, you will be astonished. 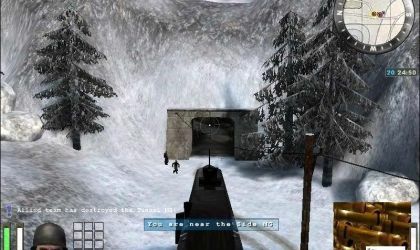 At first Enemy Territory should be an add-on to the allready exsisting Return to Castel Wolfenstein but at the developers heared the office where they were working in should be closed they decided to release it as a stand alone version with only a multiplayer mode. Even if the first promised singleplayer mode is missing now the game is one of the best games I have ever played of the Second World War scenario. The best thing about the game is that you have a ranking system. The more experience you will collect during battles the more health you get or the better you can aim. For example if you shoot many peaople with the MG you get experience on Light weapons. If you have reached the maximum of four stars you get dual pistols. As a medic for example if you heal many people and revive them you get experience on First Aid. At Level four you can give yourself some adrenalin which lets you run faster. There are also some other classes. There you have the field-op who can provide artillery fire and an air attack. The engineer who repairs Tank, Trunks and sets up barriers and mines. The covert-op who uses a silenced sniper rifle and a silenced pistol. At last you can use the normal soldier who is fighting with an MG-42, Flamethrower and some other nice weapons. The more experience you get in one Level the higher is your ranking. With every Level you climb up you get promoted until you have reached the rank of the General. As a General you have all experience points collected, which means that you have reached in every class the maximum. That means that you are a four star Medic, Engeneer, Field-Op, Covert-Op, Soldier (Heavy-Weapons), Battle sense (which gives you more health) and light weapons. This game is for me the game of the year and so I can just say to everyone who still hasn't got the game, you have to download this game, it is really adictive. This is saying much. If you like what you see in Halo 2, but you don't have the dough to buy the game and you want the same online experience? Then download this game. It matches up to the online play in Halo 2. If you have DSL or higher you should have no problem, but if you have dial-up take caution because you may have connection problems, although my buddy downloaded it (he has dial-up) and he has basically no problem with his connection. Just take caution dial-up users. Aside from that, this game delivers great graphics, sound, and a frequent new maps being made by players. You will never get bored of this great game. This game is a battle of the Allies vs. Axis. Your friends won't believe how great this game is for being free. Controls may be switched around and you can change the color of your name. This is a nice touch. You can't say no to a great free game like this. Download it A.S.A.P. I give it whatever you want to call it; 10 out of 10 stars, 5 out of 5 stars, 100%, or whatever else. This game has everything that you would want in a First Person Shooter and on top of it the game is free! Free to download! Free to play! Free to kill! 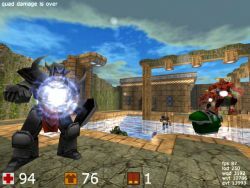 I always enjoyed playing Return To Castle WolfenStein from the time that it was in its beta version several years ago. RTCW gives you tons of people to play with and is never dull, wherever you go. 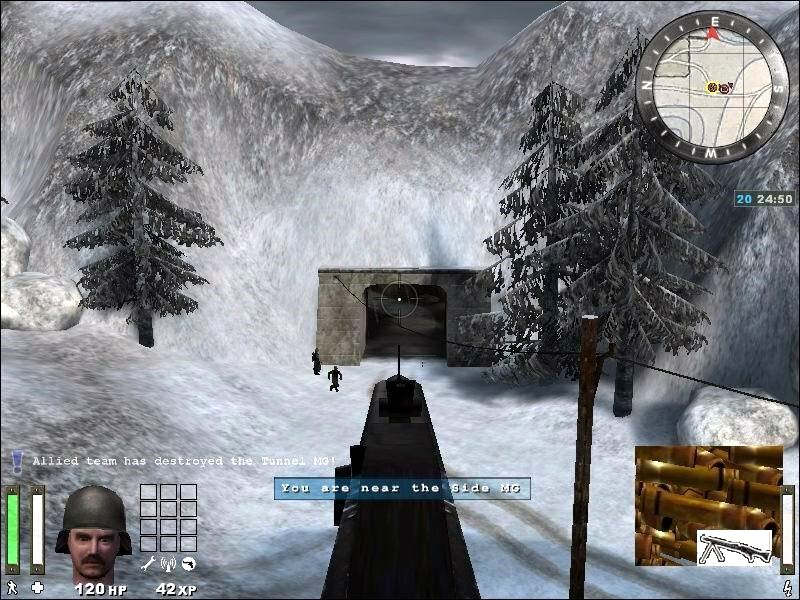 The graphics are very good and the weapons are even upgraded from the RTCW multiplayer. Giving the ability to choose different types of soldier classes makes this more fun when you can exploit the other team with engineers that plant land mines or medics that never let your players die for long. At around 275MB this game isnt too large either. Compared to a game like WoW or Everquest this is a drop in the bucket. Did I mention that it is FREE? Well it is, and I love Activision because of it. 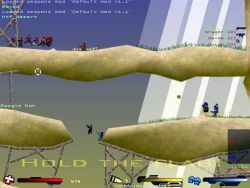 The game supports up to 64 players and tests teamwork and strategy as the game’s outcome relies on your team’s ability to work as a unit and execute fast and efficient strikes. The covert operative gives the player the ability to steal uniforms and take on disguises to fool the enemy. 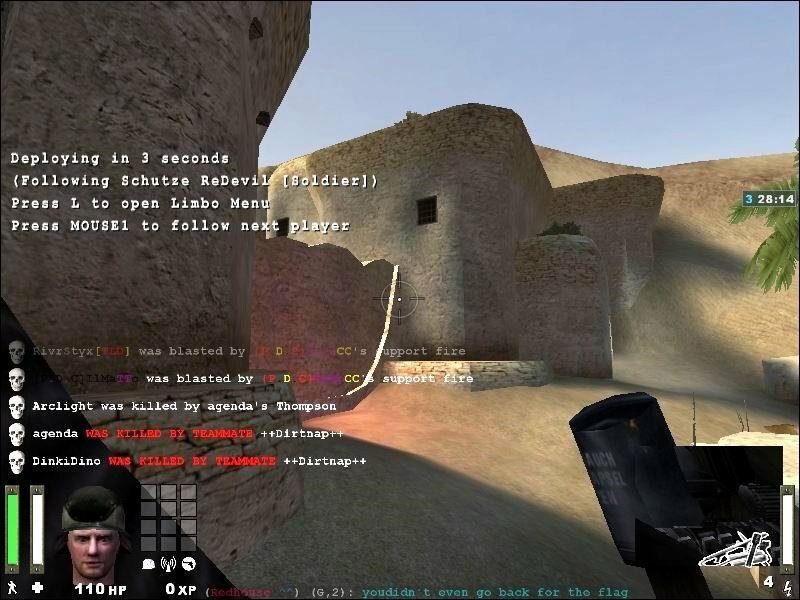 Place and diffuse mines to thwart and defeat your opponents whilst avoiding gunfire from military towers. 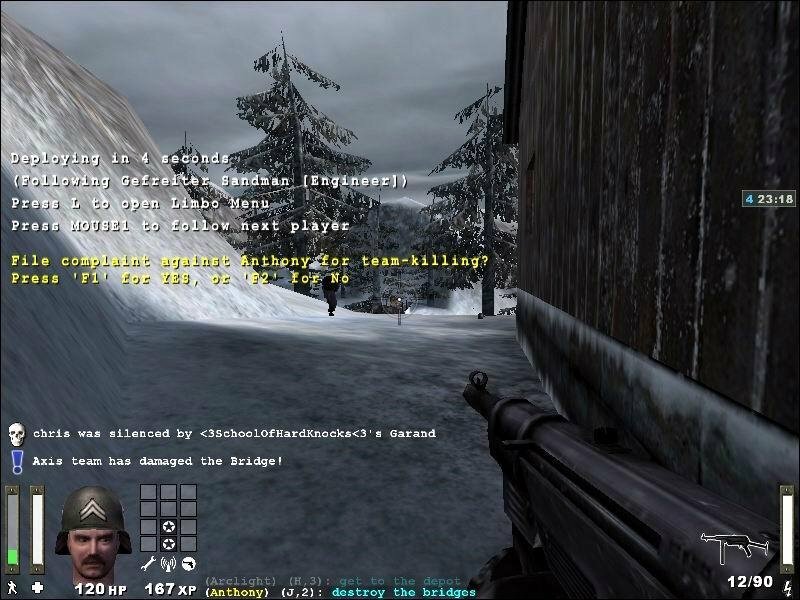 Wolfenstein: Enemy Territory will keep you playing for hours with its amazing graphics and excellent game play. This game surprised me. I would've never thought that a free game could be so much fun. Return to Castle Wolfenstein, one of my favorite games of all time, was a blast and I wanted the expansion pack badly. But it never came out and I was angry. Then I saw this and when it said it used to be the expansion but was later changed into a free download, I got very ecstatic. 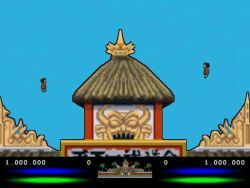 However, in the years since my obsession, I discovered how cool games like Day of Defeat and Counter-Strike were, so I wasn't expecting as much. All of that changed when I booted the game. The graphics were good, the control was spot on and the premise was simple. Even though Day of Defeat is still what I play the most, Wolfenstein is a good alternative when there aren't any good servers. It will be very difficult for another freeware game to come along that will knock WolfenStein Enemy Territory for its position as number one freeware game. It does have an unfair advantage over the competition being a planned commercial title and all. 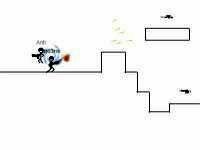 It would be pointless me going through all WolfenStein Enemy Territories strong points as this would take to long and trying to find some weak points would be an impossible task. It is a great game with awesome internet death match play. You would be crazy not to download it, that is provided you have a dedicated internet line. This is the best game you will never buy. Why? Its free. Yes. You heard me. Its FREE. If you're looking for a great game with awesome gameplay and good graphics, this is it. The only thing that its missing is an offline tutorial showing you the basics and the ins and outs of the different classes, because I know I was confused as hell when i went into my first game. But all in all, this is the best game that I haven't bought.